SEOUL -- A prominent research institute in the southern port city of Ulsan has started the commercial development of seawater battery-based products such as fishing net buoys installed with sensors and lights. The seawater battery-powered fishing net buoy will carry a seawater battery, solar panels, light emitting diodes (LEDs) for lighting, GPS and a thermometer sensor, the Ulsan National Institute of Science and Technology (UNIST) said in a statement on Monday. 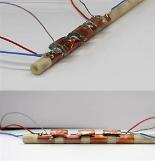 Seawater batteries, which use sodium to generate electricity, are eco-friendly and cheaper than lithium-based batteries. They can also be used at large ships and nuclear power facilities as emergency power sources as seawater batteries operate without auxiliary loads or an external power supply, except for water and salt. 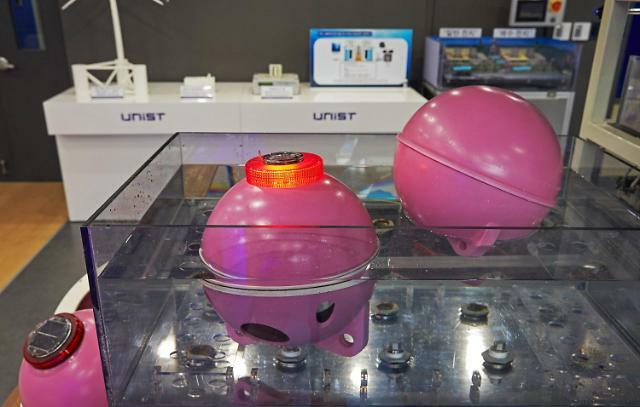 UNIST said it would develop independent seawater battery-powered GPS fishing net buoy through cooperation with Ulsan City and Korea East-West Power Co. The consortium plans to develop a prototype by May this year and distribute about 800 buoys. 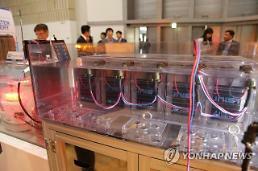 Construction of a research center for seawater batteries and other eco-friendly technologies began last week at UNIST to carry out a project funded by Korea Electric Power Corporation (KEPCO), a state utility company, and Korea East-West Power Co.